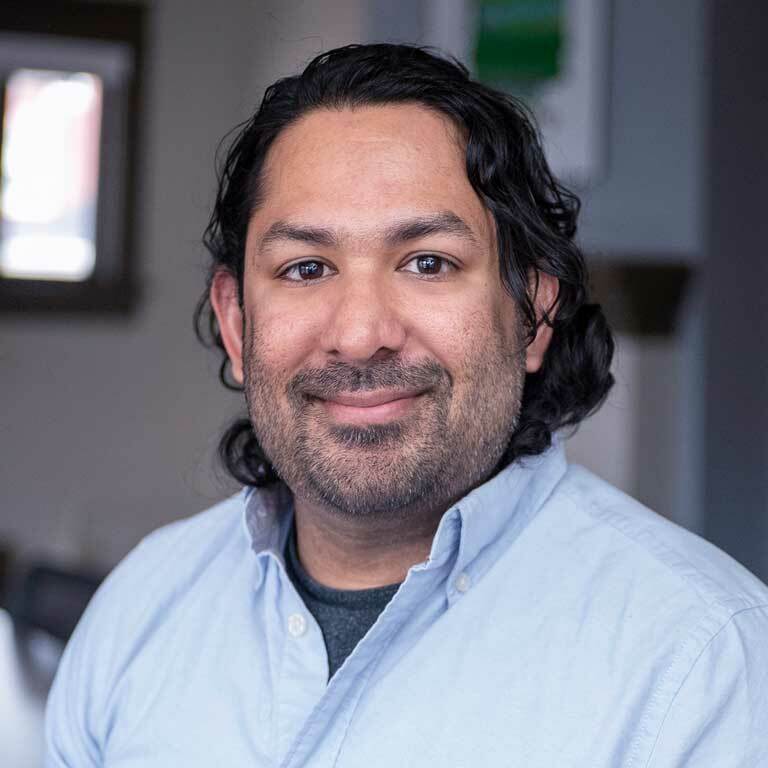 As the invasive species ecologist fellow and a community ecologist, Ranjan Muthukrishnan is broadly interested in the causes and consequences of major transitions in ecological systems. He comes to the Environmental Resilience Institute following postdoctoral work at the University of Minnesota, Twin Cities, where he studied the spread dynamics and impacts of both terrestrial and aquatic invasive species. Muthukrishnan received a bachelor’s in integrative biology from UC Berkeley and his doctorate in ecology and evolutionary biology from UCLA, where he studied alternative stable states dynamics in coral reef ecosystems. Ranjan Muthukrishnan’s research aims to understand, predict, and help control and prevent the spread of invasive species in Indiana and beyond. These invasive organisms – which can be plants, animals, or even bacteria or fungi – are transported through human activity to new environments, where their growth may not be limited by natural predators or other constraints of their native habitats. By definition, an invasive species causes some type of harm that affects humans either directly (such as through illness, property damage, or agricultural impacts) or indirectly by disrupting ecosystems in ways that make them more vulnerable to stresses. For example, Muthukrishnan is currently studying a type of algae that is native to parts of Europe and Asia but now blankets some lakes of northern Indiana. Starry stonewort, which grows in such abundance that it can interfere with boating and other recreational activities, also displaces native plants. Muthukrishnan is investigating how these changes might affect other parts of the local ecosystem such as fish and wildlife, and how these shifts could in turn make these populations less able to withstand the effects of climate change. Part of the difficulty of addressing invasive species is that treatments to eradicate them carry their own environmental risks. Muthukrishnan combines both hands-on data gathering (often involving scuba gear) and mathematical modeling to help determine which course of action is likely to be the most beneficial. Options for addressing invasive species can range from containment, intended to simply prevent further spread, to chemical treatments or mechanical removal. In exploring and evaluating these management solutions, Muthukrishnan studies not only the short- and long-term biological effects of different treatment strategies but also residents’ psychological attitudes toward invasive species. One particular area of interest is how these attitudes – which tend to favor strong governmental interventions – contrast with public sentiment about other environmental challenges such as pollution and climate change. Working in collaboration with other Environmental Resilience Institute fellows including Abigail Sullivan and Matthew Houser, Muthukrishnan hopes to uncover the factors driving Hoosier attitudes toward invasive species and determine the most effective means of sharing information with decision makers and the public in order to guide effective policy.